We are a parish with a broad churchmanship which comfortably rests within the liberal catholic inclusive church tradition, striving to be a welcoming community, where everyone is valued and diversity celebrated. Our core vision is to be A Place of Hospitality. The parish of Boston is a united parish of three churches. The parish covers the larger part of the town of Boston, including the town centre. We are in the inclusive modern catholic church tradition. We are striving to be a community facing church where everyone is valued and diversity celebrated. In a town, that has in recent years changed significantly, we are committed to being a place of hospitality. We are looking for a collaborative priest who can help us build on the past, honour the present yet look to the future for numerical and spiritual growth. The priest will need to be an intrinsic team player, who is nourished and enriched by the ministry, lay and ordained, of others. The parish of Boston needs a person who not only shares this vision but can enthusiastically develop and take a lead on it. will be able to demonstrate the leadership of an accomplished pastor and will offer visible pastoral nurturing in all our churches. She or he will be spiritually mature and prayerfully minded with an ability to identify others to help support mission and ministry in the parish. This will be done in a community struggling to come to terms with rapid demographic change. will, informed by national resources and research, take the lead in developing the pastoral policy and process for the Parish’s occasional offices. These policies and processes will be from, and include the point of first contact, to ongoing support, pastoral care and congregational integration. will be able to demonstrate his or her complete commitment to working within a team environment and be able to demonstrate the skills needed, both emotional and practical, for this ministerial context. will be liturgically creative and confident. She or he will have experience of fresh expressions of worship and, with others, they will want to develop imaginative forms of worship in the churches. An understanding of the parish choral tradition is important, as well as an ability to design and lead worship modern and new expressions that are contextually appropriate. will engage fully in the life of the team and in particular collaborate closely with the Team Rector to ensure the strategic objectives of the parish ministry and mission are delivered. 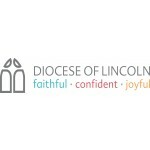 will complement the work of the Team Rector who has concerns with the wider strategic opportunities for mission and ministry of the church and who represents the Church within the wider life of the civic, commercial and third sector organisations of the local authority. will complement the Team Rector’s team role and be able to develop an overarching focus on theological education for the parish and community. with due attention to the triplicate curate training model to be prepared to engage in the required training and development needed to be the Training Incumbent of the Parish - this will be alongside the Team Rector as the Supervisor.